When it comes to auto insurance, there are a lot of misconceptions that people believe. Our goal at J. Thomas & Associates is to help you understand what your policy covers and what it doesn’t, and to make sure that you have the right auto insurance coverage for your situation. Today, we are going to bust some popular myths about car insurance to help you be better prepared to get behind the wheel. Keep reading to learn more, or get a free auto insurance quote from your Houston and Sugar Land insurance agency. Myth: It costs more to insure a red car than other colors. 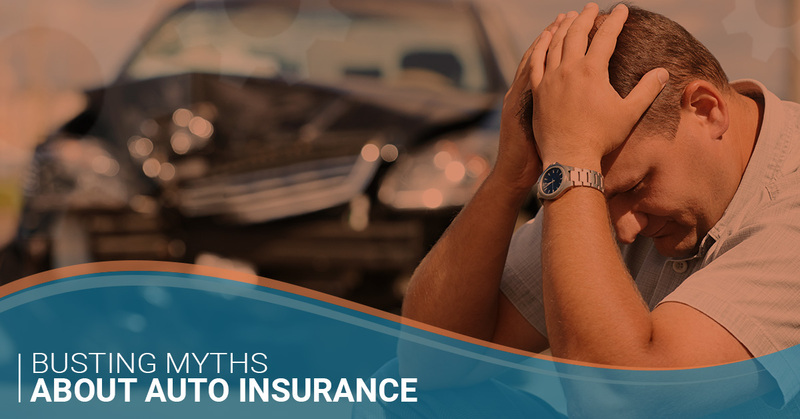 We’re not sure how this myth started, but it is one of the most common myths about car insurance. The color of your car does not affect how much you pay. Things that can make your car insurance rates higher include your driving record, age, the value of the car, how much you drive, and a few other factors. Perhaps since red is a popular color for expensive sports cars, those who drive expensive cars that happen to be red end up paying more, perpetuating the myth? Myth: Older drivers have higher premiums because they are more likely to get into an accident. Actually, with Allstate, individuals who are 55 or older and retired can receive discounts on certain auto insurance policies. Additional discounts that can apply to seniors are choosing cars with good safety ratings and safety features, voluntarily taking safe driving courses, and having a clean driving record. Be sure to chat with our insurance representatives to learn about more ways to save. Myth: My motorcycle is covered under my auto insurance policy. If you crash your $25,000 Harley Davidson and think your car insurance policy will cover the damages, you might be out of luck. Unfortunately, motorcycle accidents typically result in fairly substantial injuries, and you need to make sure your motorcycle insurance policy is in place to cover your medical expenses and lost wages. 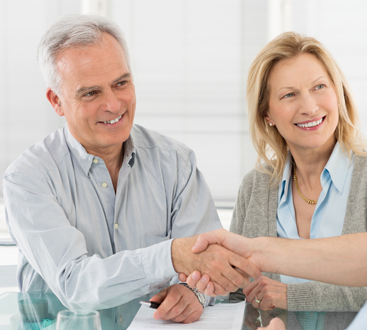 Our insurance agent can help you determine what type of coverage is right for you. The name “comprehensive car insurance” is, frankly, misleading. The word comprehensive in day-to-day language means “including all aspects of something.” Comprehensive car insurance, though, generally covers non-accident-related damages. This includes animal collisions, storm damage, theft, vandalism, and a few others, but you can go over your policy with your agent for specific details. Myth: My car insurance company will give me money if my car is stolen. This is where that comprehensive policy comes in. If you have the bare minimum car insurance, which, in Texas, includes only bodily liability and property liability, your car will not be covered in the event that it is stolen. To protect your assets, you really need comprehensive and collision insurance. Myth: If someone borrows my car, their insurance will cover any damages they cause. Unfortunately, many people have learned the hard way that this is not the case. If a friend is using your car with your permission, in most cases, a claim will be filed under your insurance, not theirs. Myth: Thieves are more likely to steal new cars, so new cars are more expensive to insure. Actually, this isn’t true. According to the National Insurance Crime Bureau, the most stolen cars in 2016 were 1997 Honda Accords, followed by 1998 Honda Civics. Older vehicles typically have less anti-theft features and can quickly be sold for parts, making them more appealing to car thieves. Myth: My teenager got into an accident — now our rates are going to skyrocket! Teens are considered “high-risk” when it comes to car insurance. Statistically, they are more likely to be involved in accidents than drivers with more experience. However, there are a couple ways to protect yourself. If your teen does well in school, they might be eligible for Good Student discounts. Allstate also offers “Accident Forgiveness” on certain policies that extend to your teen drivers. It is possible that rates won’t go up at all after an accident if you are part of this program — but be sure to talk to your agent about accident forgiveness to ensure you are covered before you need it. We want to make sure you are in good hands when you hit the road. Get in touch today to speak with an Allstate representative in your area to go over your existing policy, or get a free auto insurance quote if you’re thinking about joining the Allstate family with J. Thomas & Associates!